Senior Monica Espinoza is doing her first year of yearbook/journalism. She joined because she likes taking pictures and wants to learn new tricks on how to take pictures. When she isn’t taking pictures, she likes listening to music and imitating DIY crafts she sees on YouTube. She feels like you can make stuff how one wants it to look and if you mess it up you can create something else. She was born in King City and moved here the summer going into second grade. Since she moved houses to this side of Salinas, she had to come to Alisal because it was the school that corresponds to her. This year she is only going to participate in Powderpuff, whereas last year she did football for the first time, playing right guard. “I liked how the guys would treat me like one of the guys,” she said. 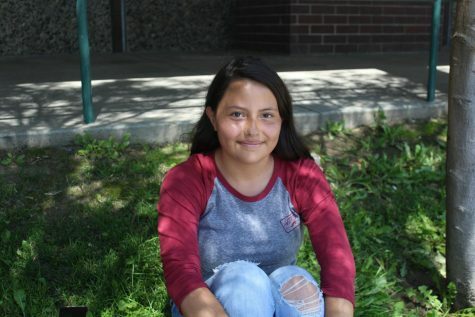 “And I enjoyed hitting people.” Her favorite part of Alisal is that the majority of the students here have school spirit and she likes how people embrace it at the games.